How to prevent water pipes from freezing and breaking! | J.J. McLellan & Son "
How to prevent water pipes from freezing and breaking! -Ensure you have a source of heat in the location where pipes are located. -If your pipes are located in a crawl space without heat ensure they are properly insulated. -Have a small heater to use in an emergency if you need to thaw lines. -Leave your cupboard doors open if your pipes are located on an outside wall. -Check your pipes during very cold weather. If the pipes freeze, thaw, freeze, thaw they could cause a breakage such as the one in the photos where the pipe was literally broke apart. 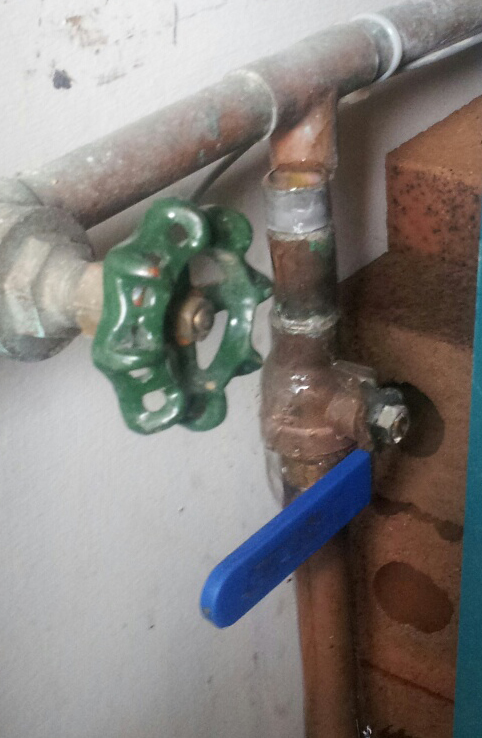 -Ensure that you have water shut off valves (such as the one with the blue handle) so that IF you did have a leak or breakage you would not have to shut off all your water to your entire home. -If you know you are going to be away for an extended period of time OR are without hydro/heat ensure you have some antifreeze on hand to winterize your pipes and prevent any breakage. Pamela McLellan-Zmija... My life as art! Stay warm and safe during the snow storm! Also remember to check your heating vents!